Here is another pattern I designed myself: the Icicles Ruffle Scarf! 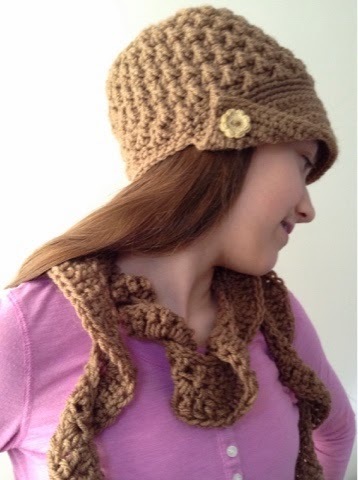 I made this scarf to match a hat I crocheted. I had tried to find a pattern for a scarf that would go with the hat, but I couldn't; so I designed this pattern. 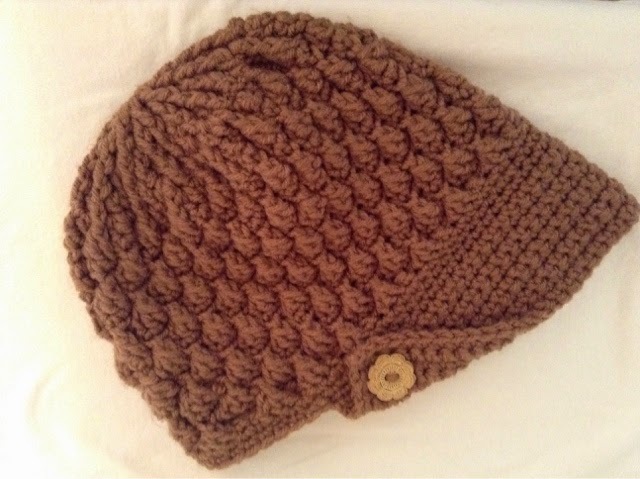 Click here for the pattern I used to make the hat. This is the hat I made. It turned out great! Length of scarf is 60 inches. Row 1: With 9 mm hook, chain a chain that is 60 inches long or until chain is desired length, plus 3 ch for 1st dc. Dc in 4th ch from hook, dc in same st as ch, 1 dc in each ch across, 2 dc in last ch, turn. Row 2: Ch 4, 2 tr in each st across, DO NOT TURN, sl st down side of scarf, switch to 5.5 mm hook. 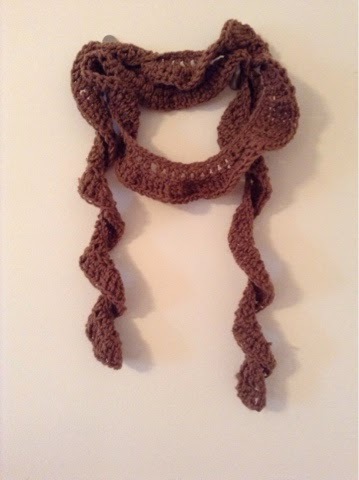 Turn scarf so that you now will be crocheting into chain loops. Row 3: Using chain loops, ch 1, (sc in next st, ch 2, sk 1 ch loop, sc in next st) across. Fasten off. Weave in all ends.